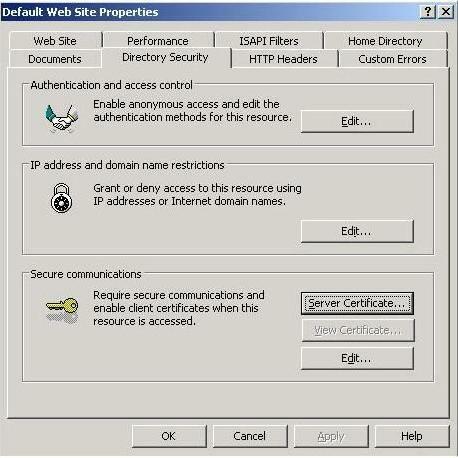 Typically When Exchange 2007 is installed, it generates a self-issued certificate for use with IIS, SMTP, and SIP (if you’re using UM). This certificate generally isn’t ideal for Outlook and OWA clients because it’s not trusted by any machines except for the Exchange server, and one of the first tasks to do is replace this certificate with one that is trusted by the user’s machines. So typically you would request to buy a Public certificate for the Exchange and usually people don’t include the internal FQDN of the servers in this request. On the Other Hand when you deploy the OCS 2007 you will require Certificate for each OCS server and this is required for securing the communication internally between OCS to OCS servers and OCS to Client. So you will deploy internal Enterprise CA in your domain to issue the certificates for the OCS , and since this is Enterprise CA so it will be published in the Active directory and it will be trusted by default for all internal domain user computers. However when you try to integrate the OCS 2007 with the Exchange UM by this design , the first thing you will notice that the Voice mail is not accessible from the Communicator client and it is giving you communicator error whenever you click on voice mail ,and you will find lots of Certificate event logs and OCS Protocol stack errors on both OCS front end and Exchange UM Server. The reason behind that is because the Exchange UM server is still using the Exchange Self Signed certificate for its internal name and it is trying to communicate with the OCS using this certificate , and since the OCS doesn’t know anything about this issuer so it drops the connection. To solve this problem we will have to replace the Exchange UM self signed certificate with one from the same CA that the OCS 2007 is using. To accomplish this task simply run the below command on the Exchange command shell. This will generate a request on the C: drive under the name of UMrequest.req for the UM server internal FQDN umsrv.mydomain.local , open it with notepad and copy the content and then go to the PKI auto enrolment page https:\\pkisrv.mydomain.local\certsrv to issue the certificate and save it locally . The last thing we will do is to enable this certificate for UM usage, first make sure to copy the Thumbprint of the certificate that you will see in the command shell then run the below command . Restart UM service and restart OCS Front End Server and now you will get the UM working fine with the OCS and you will no longer see the protocol stack errors. Usually when you call someone and there is no answer then you are transferred to the Pilot number, the extension of the person you are calling is sent also in the request so that you would be directly transferred to the users voice mail not to the Welcome greeting. Media Termination Point: The Cisco Call Manager installation builds the default media termination point. Media Resource Group: Create a media resource group “MRG_CCM5” and add the media resource (MTP) to the group. Multicast is not required. Media Resource Group List: Create a media resource group list “MRGL_CCM5” and add the media resource group “MRG_CCM5” to the list. Device Pools: By default Cisco Call Manager creates the “default” device pool. Open the device pool “default” and select the new media resource group list “MRGL_CCM5”. SIP Trunk Security Profiles: Copy the “Non Secure SIP Trunk Profile” to “E2K7 Non Secure SIP Trunk Profile” and enable “Accept Unsolicited Notifications”. Partition Configuration: Create a Class of Control Partition “Local”. Calling Search Space: Create a Class of Control Calling Search Space “CCS_Local” and add the Partition “Local” to the calling search space. In the end this was done by the below command from the exchange shell and of course we used a custom greeting for the first custom welcome part. Also the client asked if that greeting can be interrupted , we tested that and it appeared that it can only be interrupted after the first wav file ends which is “ welcome to the exchange auto attendant “ . If you tried to interrupt before this greeting ends then you will hear a sorry message , however you can enter any digits and interrupt the greeting right after that 3 seconds part. I have been asked about the do ability to have the Presence of a person from inside the body of an e-mail or to to be able to call a phone number from inside the e-mail body also. Make sure to click on both Person Name (English ) & ( Outlook email ) , and Telephone Number . OCS 2007 discovers UM users, UM servers and UM dial plans from Active Directory. 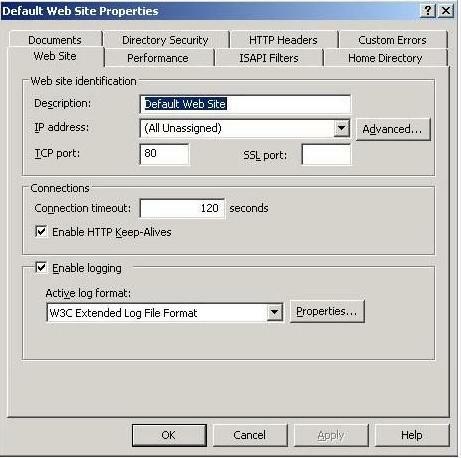 It finds the UM dial plan of a user by looking at the EUM proxy address of the user, ie. the user with the SIP URI tu@contoso.com has as one of his proxy addresses EUM:tu@contoso.com;phone-context=Hellerup.contoso.com. The value of phone-context is the name of the UM dial plan. By looking at the UM dial plan attribute msExchUMServerDialPlanBL OCS 2007 gets the list of the UM servers servicing the dial plan. Let’s call that list the “working set”. OCS will randomly contact one of the UM servers in the “working set”. If that fails it will try a second one. If that also fails it will give up and the call can’t be completed. A failed UM sever will be removed from the “working set”. OCS will incrementally throttle traffic to the failed UM server and when it replies positively it will be included in the “working set”. 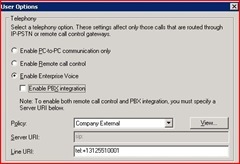 OCS 2007 users enabled for Enterprise Voice will use Exchange 2007 SP1 Unified Messaging (UM) as the Voice Mail system. 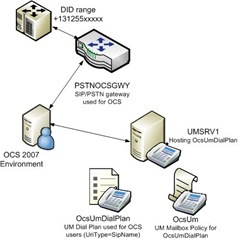 In such a configuration the users Direct Inward Dialing (DID) numbers are homed on OCS 2007 and OCS 2007 is connected to the PSTN or PBX system via a OCS 2007 Mediation Server and a SIP-PSTN gateway. How to configure integration between OCS 2007 and Exchange 2007 SP1 UM is described here. As indicated above the solution is to give Test User a separate extension for fax and the extension needs to be routed to Exchange 2007 SP1 UM directly without going through OCS 2007. Contoso will therefore have to create a configuration as shown below. 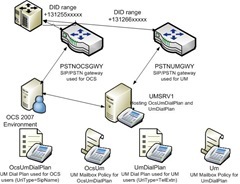 There is a dedicated SIP/PSTN gateway for connectivity to Exchange 2007 SP1 UM. The PBX routes the DID range +131266xxxxx to this SIP/PSTN gateway. There is a new UM Dial Plan called UmDialPlan with UriType=TelExtn. There is a UM Mailbox Policy associated with this UM dial plan called Um.